iOS: Image annotation is one of those surprisingly useful tools on your iPhone, and while there's a built-in option with iOS, you can't do much with it. Annotable offers a ton of features for easy image markup. Annotable has pretty much everything you'd want in an image annotation tool. You can easily zoom in on sections, highlight parts of an image, highlight text, pixelate private info and, of course add text, lines, boxes and arrows. 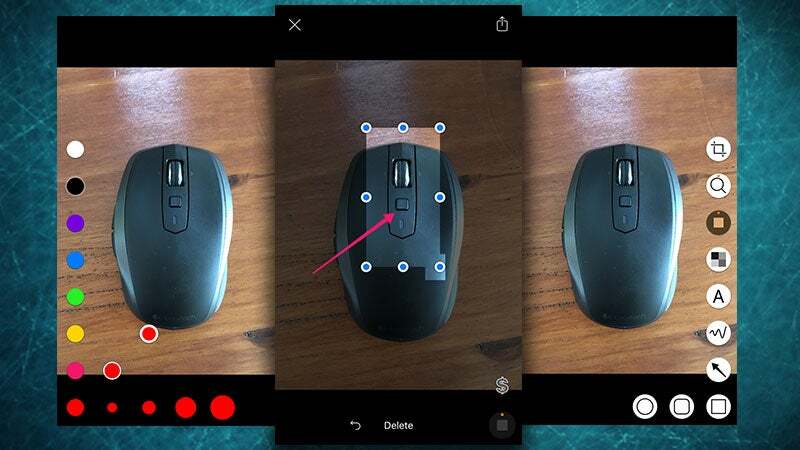 All the tools are easy to use, which makes quickly annotating an image on your phone straightforward. Annotable is essentially a more feature-rich version of the no longer supported Skitch (which still works perfectly fine for the time being, even though Evernote has declared it dead). Annotable has a slightly annoying in-app purchase model, where you can unlock individual feature sets for $2.99 a pop or the whole toolkit for $14.99, but it does at least let you try out everything for free before you buy, so it's worth a look if you need something more powerful than Skitch or the build-in markup tools.